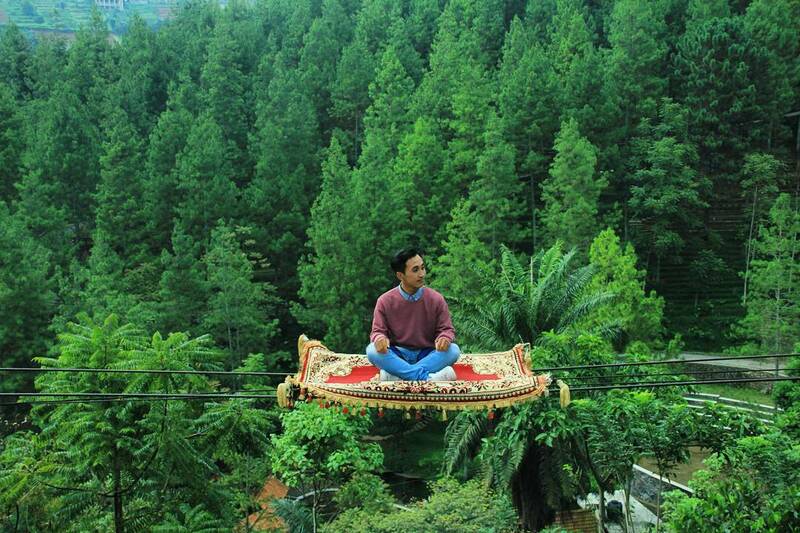 Home / Nature / North Bandung / Recreation / ALADDIN CARPET AT DAGO DREAM PARK ! Hallo traveller ! Do you ever imagine flying on the carpet, like Aladdin ? Enjoy the sensation of flying on the carpet aladdin is not just in the television series. Now you can enjoy it at Dago Dream Park Bandung. This new rides are named Aladin's Carpet. To enjoy it you just simply come to Dago Dream Park. Carrying the theme of nature, tourists can enjoy every game in the middle of the wilderness filled with pine trees with the sound of river water. 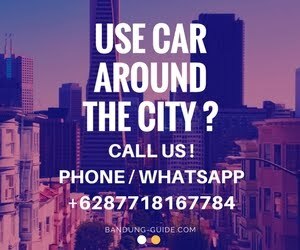 Not only that, Dago Dream Park also offers a variety of rides a very complete game, right if then a Family Vacation Places in Bandung. Before Aladin's Carpet new rides, Dago Dream Park is famous for its kora-kora rides, paddle boats, and labyrinths. Entrance to Dago Dream Park is Rp 20.000 / person, entrance ticket is included with voucher to ride mini bus to walk to every corner of Dago Dream Park. When carrying a vehicle, you must pay parking Rp 10,000 for cars and Rp 5,000 for motorcycles. For Aladin's Carpet rides you just pay Rp 30.000 only and already get a photo print directly. This rides for all ages, and safety. Dare to try?